Genting Highland Isn’t The Same As 10 Years Before. Here’s Why. It’s been close to 6 years since Genting Highland’s outdoor theme park was closed down in 2012 to make way for new development (i.e 20th Century Fox World). At first, there’s nothing much to do up there to attract the regulars but during recent years, we’ve seen new concepts sprouting at the peak of Mount Ulu Kali which once again spark tourist attractions. 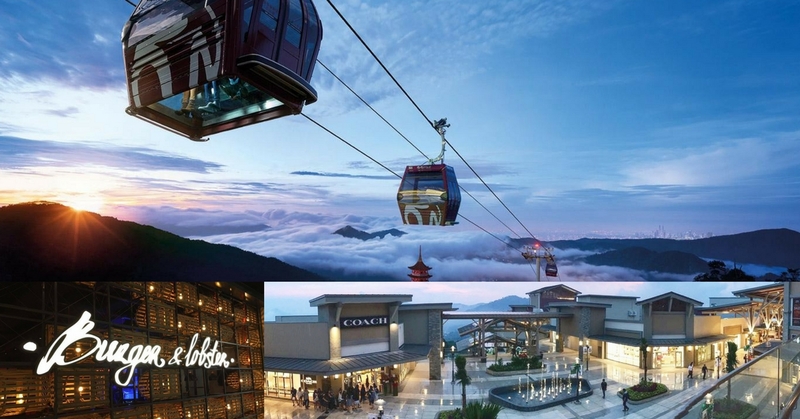 Genting Highlands Premium Outlets is an outlet center with a collection of designer and name brand merchandise at savings of 25% to 65% every day. Located just right next to Awana SkyWay, it’s fairly convenient for people to shop till they drop in a cool environment. There are more than 150 designers and brands here, including Coach, Adidas, Moschino and Hugo Boss. Within Sky Avenue itself, there are more than 70 retail outlets and eateries for you to experience. Be amazed with the lights and sounds performance via Sky Symphony at the center of the mall. Browse through international brands at retail outlets in every floor. You can enjoy the local food at Malaysian Food Street after shopping. Unlike the olden times, there are only a few selections for restaurants and retails outlet. The first outlet of Burger & Lobster in Malaysia is located at Sky Avenue. SkyCasino at Genting Highlands is one of the main attraction for many local adults and tourists alike. Visitors can enjoy their meals any time of the day and resume their session afterwards. While we don’t condone gambling, it’s quite an experience for first timers to check out this space and admire their interior designs.